The shortlist for the Ulster Footballer of the Year award has been revealed. The accolade is awarded by the Castlereagh Glentoran Supporters’ Club. A trio of players from Coleraine have made the list, while north Belfast is well represented with two from Crusaders and one from Cliftonville also making the cut. 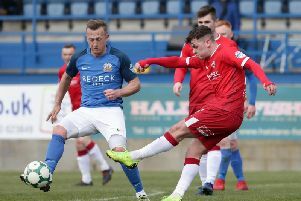 Three players - two from Glenavon and one from Warrenpoint Town - are in the running for Young Player of the Year. The winners of both categories will be announced on April 23. Click on the link above to view pictures of this year’s contenders.